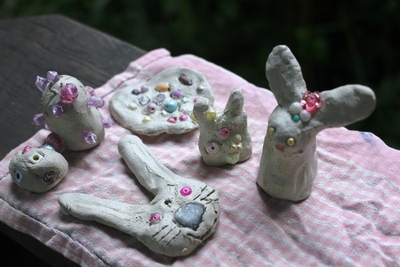 These Easter Clay Creations are lots of fun for children (and adults actually) of any age to put together and make egg-cellent presents for the Easter season. 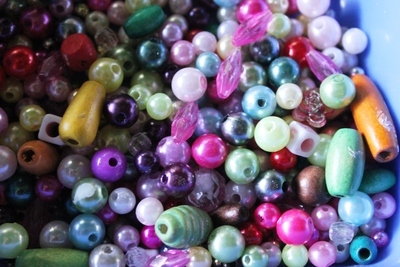 You can purchase the Air Drying Clay and beads from most discount variety stores. Alternatively, you could collect clay from any nearby creek for free. Also, if you need some rabbit "noses", just send the kids out into the garden or collect some small stones next time you're at the park. Perhaps you could make a whole series of egg shapes and paint them bright colors for a (chocolate free) Easter egg hunt. Dress in some old clothing because this activity gets rather messy, but it's lots of fun. 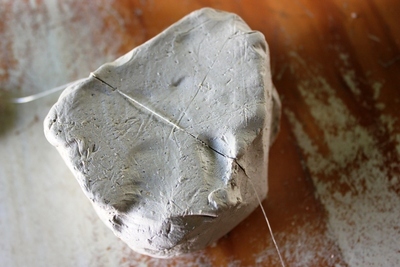 Divide your Air Drying Clay into smaller manageable sections, then begin sculpting. 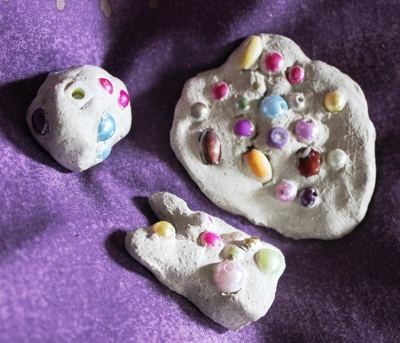 Maybe shape simple egg shapes for smaller children or a rabbit for older more nimble fingers. Add a little water if the clay begins to dry out too quickly. 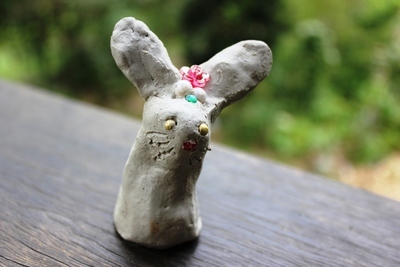 Preparing the rabbit ears, face shape and "nose"
Add some finishing touches by decorating your artworks with shiny beads and maybe some rabbit whiskers. Paint the shapes if you wish. 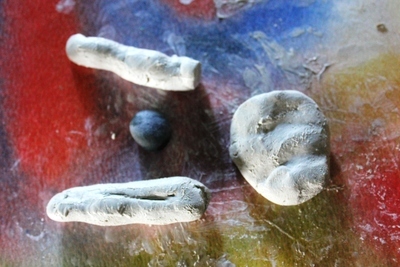 Allow the sculpture and paint to dry in the sun. Offer as a present to mum, dad or the grand parents to celebrate Easter.